of balance she strives to cultivate in her daily life. 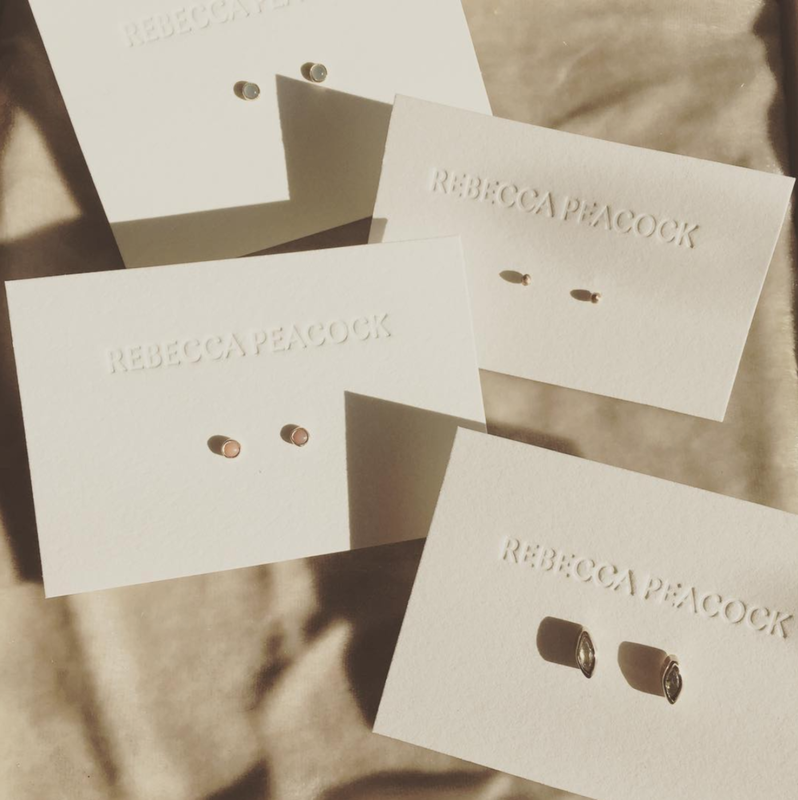 Rebecca Peacock Jewelry is a fine jewelry collection based in the Catskill Mountains of upstate NY. Each piece in the collection is handmade in a farmhouse studio overlooking a countryside creek. Underlining Rebecca's devotion to the highest quality materials, the collection is designed with 14 and 18 karat gold, diamonds, and semi-precious gemstones. Rebecca was raised by wolves in the woods of the Catskill Mountains. Tamed by ten years in the California salt air, she returned to the Hudson Valley, where she is renovating a 19th century farmhouse. If not in her studio, you can find her tending to her chickens, peacocks and angora rabbits and enjoying the beauty she finds and creates in the every day gems of her life. Rebecca Peacock firmly supports ethical, sustainable and fair work practices and uses reclaimed materials.